Coloured sand in soft baby blue. Exclusively manufactured in the UK by Specialist Aggregates using a pure white sand to ensure an unrivalled delicate colour with just a hint of a sparkle. A volume similar to an office waste paper basket full. 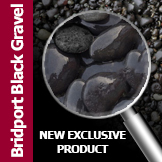 Coverage : A single 15kg pack will cover just under 1Sqm at 10mm depth. 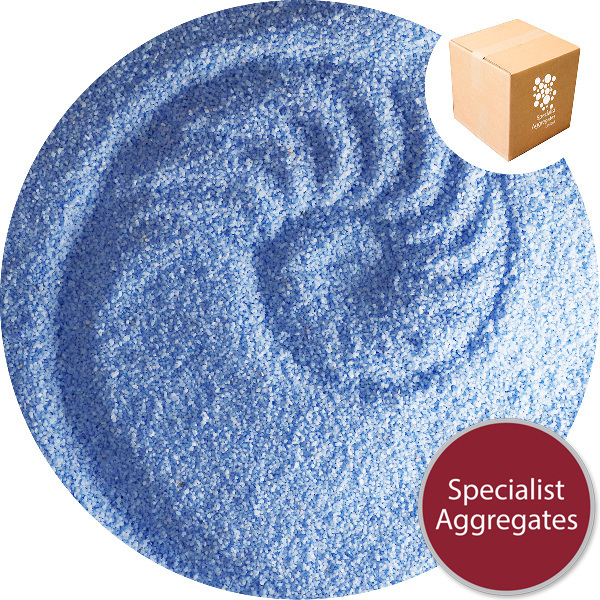 Unrivalled quality coloured sand manufactured by Specialist Aggregates in the UK using non toxic organic pigments and resins. 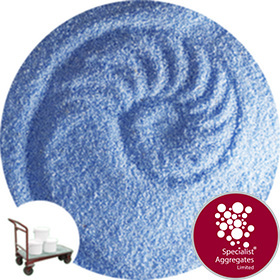 Uniquely the product is made with a pure white sand ensuring a consistent delicate blue colour. Our clients have used this sand for art and museum installations, photographic and film applications as well as crafts and event decoration. 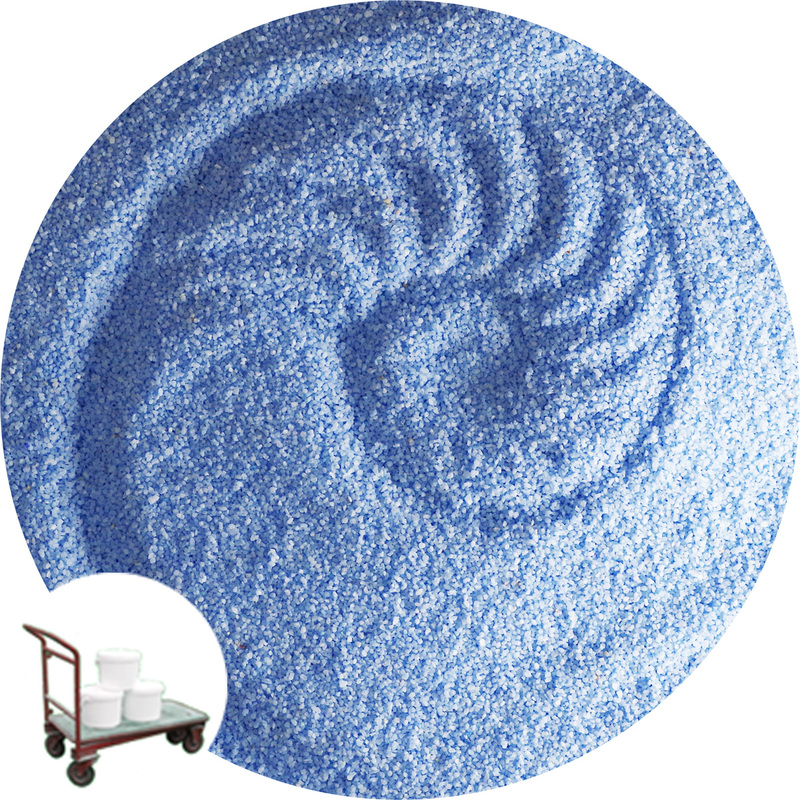 The sand is supplied dry for ease of handling, it is colourfast and suitable for use underwater. 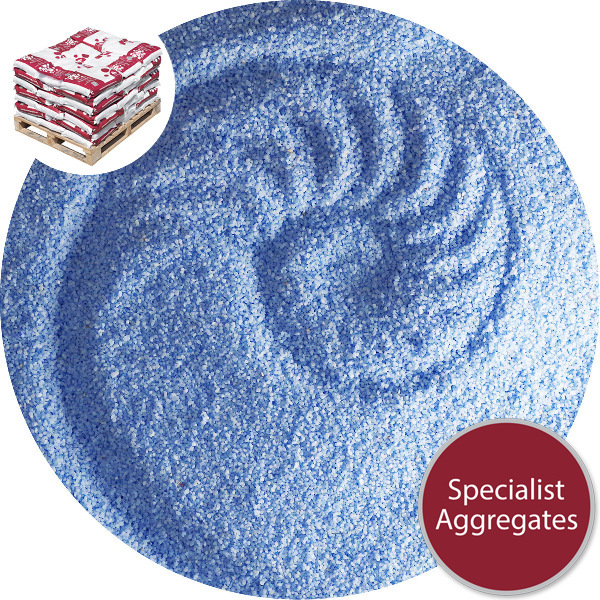 Design Specify: Chroma Sand - Baby Blue from Specialist Aggregates. For corporate contracts we can offer our premium Aspen Crystal and Chroma Sand ranges colour harmonised to RAL and Pantone classification. An origination charge and minimum batch quantities may apply. Please "Contact Us" to discuss.